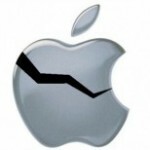 Home / Security / Breaches / Apple Stores Hacked, Is Apple Vulnerable? Hackers have managed to steal Apple passwords online. They have issued a credit card fraud warning to Apple customers after the company’s website received complaints that unauthorised transactions were being made. Hackers are using forums to sell passwords for as little as $33, allowing people to use thousands of dollars in purchases. 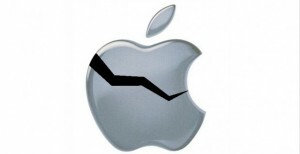 Apple has stated it is working to improve security. Apple has told the customers that were affected to change their account passwords and contact their financial institutions. “It’s not just the money being lost, it’s the customer’s private and personal data and to some extent that’s more import than losing money”. “Once the information’s been hacked it’s quite easy to actually get access to it … often the information is posted for free or for sale on a number of websites around the world”. Consumer Affairs Victoria warned that counterfeit apps on sale through the App store could expose buyers’ to virus-like software which could then be used to steal personal information. This questions Apples ability to keep out hackers, and whether or not they actually are taking measures to prevent such things from happening. The buisness that managed to revolutionize handheld devices is still as vulnerable as anyone else right now.